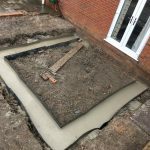 We provide Excavation and Groundwork in Cheshire from dense industrial areas, like Ellesmere Port and Runcorn, to rural areas around Macclesfield. 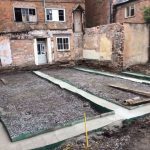 So whether the project is large or small, we can supply a cost-effective and reliable solution. 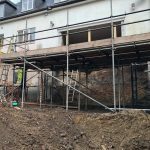 Our highly skillful team of civil engineers use quality resources and experience to complete a project to its highest standard. As an industry expert company, we have been able to develop a sound reputation for professional and timely projects. 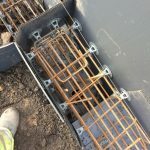 Our civil engineering team are well equipped with the appropriate experience and resources to do the job to the highest standard, whether this is the whole project or just the groundwork. 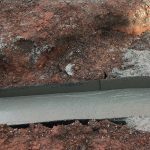 We understand that quality of service is important, but with our fully insured and first-class experienced team of contractors, and this shouldn’t be something you need to worry about. 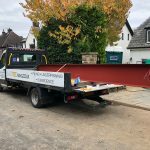 However, if you do need any support or advice before, during or after your project our customer service department can provide expert advice on any query you may have. 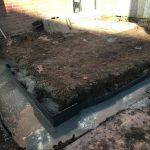 We cover the whole Cheshire area, as well as its bordering areas of Greater Manchester and Merseyside. Major towns include Chester and Warrington. Other towns like Crewe, Ellesmere Port, Macclesfield, Runcorn, Wilmslow, and Winsford, where we’ve had many project completions in the past. 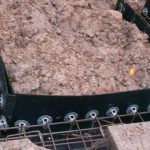 Excavation – digging a plot for the new foundation or structure. 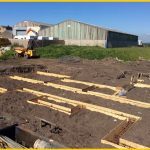 Groundwork – including; site clearance and preparation, drainage, reinforcement of concrete slabs, roadways, and landscaping. 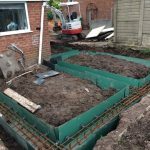 On top of this, we offer a Piling and Mini Piling service, and the Reinforcement of Concrete Foundations.